The United Nations resolution that changed Omri Zohnâ€™s life ricocheted across America and around the world. They must activate the escape route for the last aliyah, the final return of Godâ€™s chosen people to their homelandâ€”if they can flee. When the United Nations bans Jewish emigration to Israel and the US Senate acquiesces, leading nuclear fusion and a cloaking-technology scientists join in a daring escape plan. Will a modern-day Underground Railroad be able to get them out of the country before Homeland Security forces hone in and capture them? 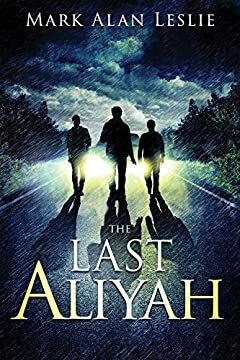 Dripping with tension, The Last Aliyah takes us to that place few want to go: What will happen to America if it â€œcursesâ€ the apple of Godâ€™s eye, the Jews?